Browsing the news and current events this past week, it was nearly impossible not to cringe at the many comments and actions made by our new president. In less than a week in office, he has managed to issue executive orders stopping federal dollars to organizations that offer abortion services and ordering a faster approval of the Dakota Access and Keystone Oil pipelines. He has tweeted comments that called for a further investigation of voter fraud and claimed National Security will have a “big day tomorrow … building that wall.” He has even made false claims, such as “millions of people voted illegally,” and was defended by Kellyanne Conway, his senior aide, as providing “alternative facts” rather than false information. While cringe-worthy to many liberal students on campus, one could argue that most of these comments and actions are a matter of differing political views and, to conservatives, possibly even a preferred course of action; one could claim that students need to keep a more open-mind when it comes to these policies and not jump to conclusions about what the consequences may entail. Perhaps one could argue that Trump honestly believes he is spouting alternative facts, rather than false information. Yet, the tendency of Donald Trump to condemn specific news outlets as “fake news” actually discourages this claim to keep an open-mind and prevents discussion. This continuously expressed view by Donald Trump directly ignores the views of those outside his political spectrum. Donald Trump continues to claim that most media outlets are “fake news” and even tweeted, “congratulations to Fox News for being number one in inauguration ratings. They were many times higher than fake news CNN.” He persistently congratulates Fox News, a traditionally conservative news outlet, yet condemns CNN, a news outlet that sometimes leans on the liberal side of the spectrum. What Donald Trump fails to acknowledge is that accurate news represents multiple perspectives; it provides credibility to both sides of the argument, even if they don’t necessarily agree with all perspectives on an issue. Fox News is notorious for ignoring the liberal side of an argument, dismissing it as naive or just plain wrong. CNN is also guilty of this mindset at times and disregards some of the valid perspectives and concerns of the conservative side of an argument. Yet, just because outlets tend to take different angles on an issues does not mean that the one representing an individual’s views is right and that the one opposing their view is wrong. Rather, accurate news represents multiple perspectives and acknowledges that the arguments on each side of the spectrum are valid through providing reliable evidence and sources. Since news is inherently biased since it is written by a human being with their own thoughts and positions, this is as close to accurate news as can be achieved. 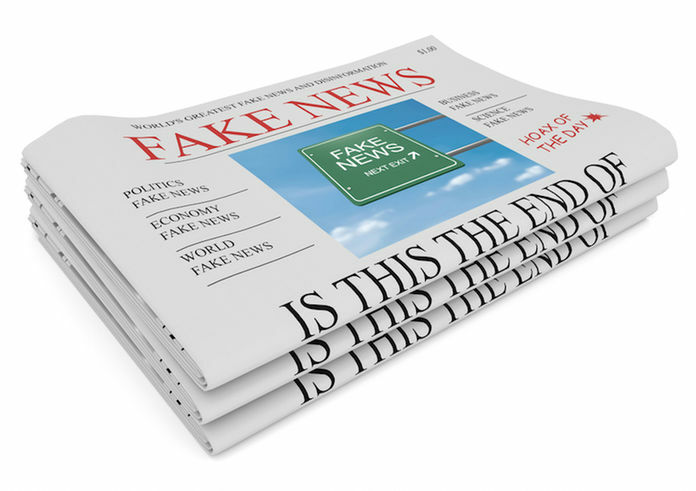 Finally, it is important to recognize that just because a news outlet reports a story from an angle does not mean that it is more biased or “fake.” Rather, as long as all views are acknowledged and represented, it is serving its job of presenting an issue and pursuing its intended message to get across to its readers. Donald Trump’s metric that one article is “true” because it represents his view while another is “false” because it doesn’t represent his same view is particularly problematic. Neither view is “true” just because it represents the views of an individual. Just because Fox News tends to align more with Donald Trump’s conservative position does not mean that it is true and that CNN is lying whenever it argues against these conservative claims. Furthermore, the elitism that this can encourage, by leading people to claim that one view is made up of “stupid people” who are “lying” or “ignoring the facts,” further destroys any chance of discussion or compromise on various topics. In the face of a federal government that does not seem interested in both exposing and listening to all sides of an argument, we at the Phoenix have an even greater mission to present real, accurate news that represents all student voices on campus. While we recognize that Swarthmore is often criticized for being “too liberal,” we believe it is more necessary than ever to reveal the diversity of views that exist on campus and in the real world. Even if some stories are presented with a particular angle, we commit to these stories acknowledging as many viewpoints as possible without ostracizing members of the community. We cannot do it alone. In representing the community and all sides of a story, we need you, the Swarthmore community, to share your knowledge and voice with us. We need you to work with us to accurately represent a story with as much information as possible and to truly represent the concerns of the community. Whether it be through sharing your own voices in your own article or being willing to interview “on the record” to avoid censorship of issues happening on campus, we ask all of you to work with us in portraying accurate, effective news from which everyone can learn and benefit. With the misunderstandings and blast of the media by the federal government, it is more vital than ever that we work together to ensure our campus does not fall victim to these claims and that we continue to be a model for accuracy, collaboration, and compassion.